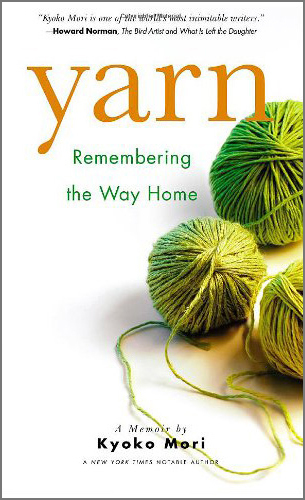 As steadily and quietly as her marriage falls apart, so Kyoko Mori’s understanding of knitting deepens. From the flawed school mittens made in her native Japan, where needlework is used as a way to prepare women for marriage and silence, to the beautiful unmatched patterns of cardigans, hats, and shawls made in the American Midwest, Mori draws the connection between knitting and the new life she tried to establish in the United States. This entry was posted in Books, Nonfiction, Yarn on September 20, 2009 by Kyoko.